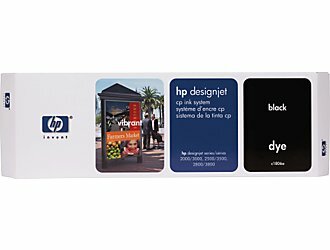 • Designed for HP Designjet 2000cp series or 3000cp series printers. • Special ink systems deliver outstanding image quality. • High-volume (410 ml) cartridges reduce costs, making prints more affordable. • Easy to install, switch between dye and UV ink systems in only minutes. Page yield footnote Approximate, based on 40% coverage on D-size prints.